The largest and most affordable Online Electric Bicycle Pannier Shop! Electric Bicycle Panniers shop the largest and most affordable! Do you want to buy an E-Bike Pannier online? 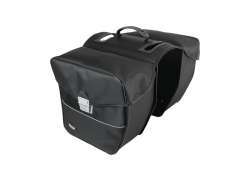 Hollandbikeshop.com has the Electric Bicycle Panniers you're looking for. Going for a quick grocery shopping on the E-bike or whizzing off to school is awesome! With our panniers it's going to be even easier to take school supplies, groceries and other things with you on the electric bicycle. At Hollandbikeshop.com you can find a wide choice of Electric Bicycle Panniers by brands like FastRider. In our wide Electric Bicycle Pannier range on Hollandbikeshop.com you can find panniers for the electric bicycle in various colors, sizes and models, like the double pannier with adjustable middle panel (suitable for both e-bikes and regular bicycles). Large, small, sturdy, graceful - you'll surely find the Panniers for the Electric Bicycle you're looking for. 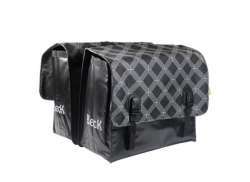 Hollandbikeshop.com is dealer of E-Bike Panniers and has a large and affordable range. We also often have Electric Bicycle Panniers on sale or in our outlet, so keep an eye on our sale button. The largest and most affordable online Electric Bicycle Pannier shop!